Food Corporation of India (FCI) will soon to conduct the examination for Junior Engineer, Typist, Steno and Assistant grade post. Aspirants who have applied for the exam will soon to get their admit card to appear for the examination. As per the tentative schedule released by FCI, the examinations for 4103 posts will be held in the month of April/May 2019. While the admit card for the same will be released 15 days prior to the examination. FCI will conduct the examination at various exam centres. However, candidates will not be able to change their exam centre, venue,date and session for the exam. 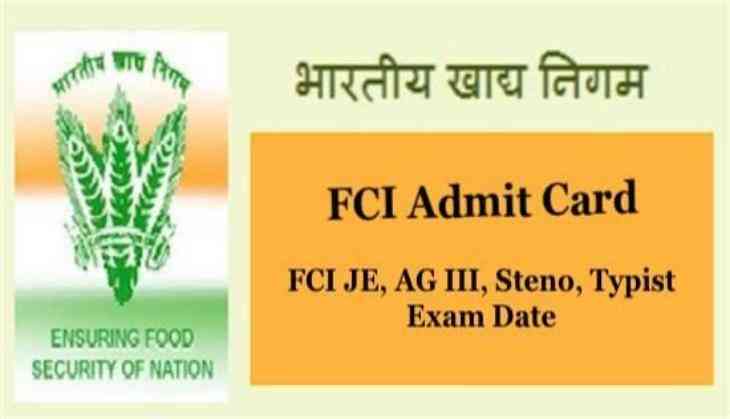 Once the admit card uploaded on the official website, candidates will be able to know all details about their FCI 4103 posts Phase-1 examination only at fci.gov.in.